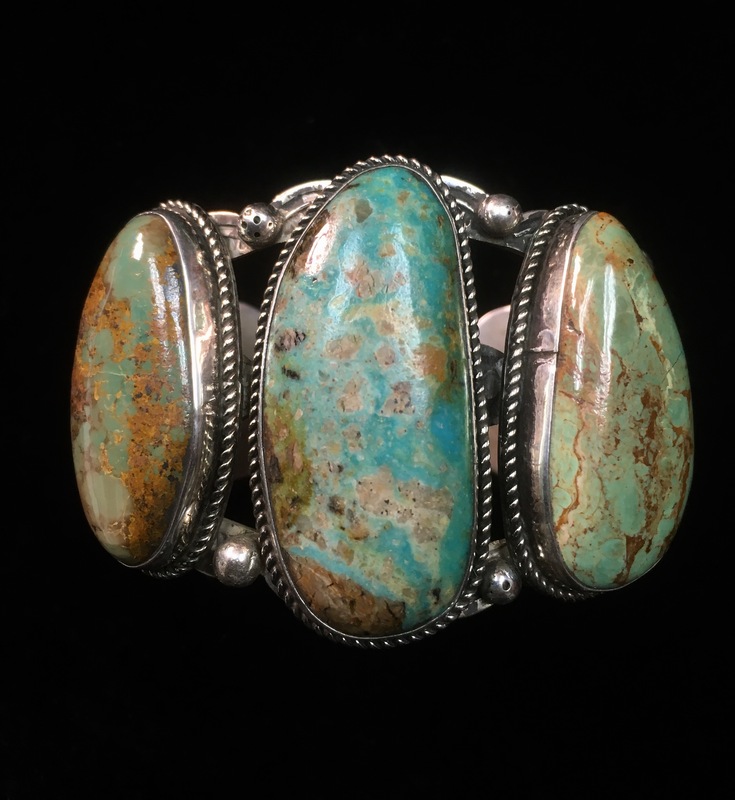 Navajo Artist AC’s cuff has all the flair of an older vintage piece and impressive array of large Turquoise stones. This Sterling Silver cuff features beautiful Native American craftsmanship as seen in the stamp work, twisted wire, and balls. This is a large statement piece that is sure to be a family heirloom for years to come. This cuff is hallmarked “AL” and is stamped “Sterling”. Navajo Artist AC Turquoise Sterling Bracelet features an impressive array Turquoise stones, Sterling Silver, and Native American craftsmanship by Navajo artist AC.